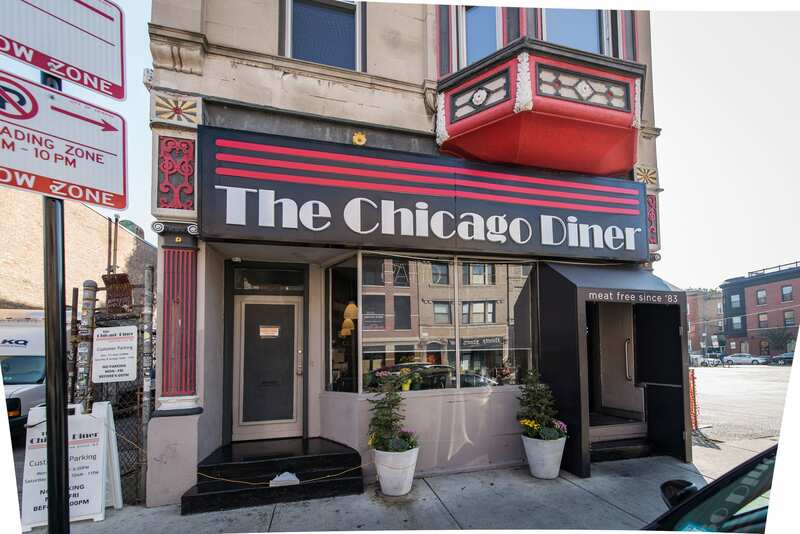 The Chicago Diner is a meat-free fixture of the Boystown neighborhood. Established in 1983, it is one of the oldest vegetarian restaurants in Chicago and is consistently ranked one of the best in the country. 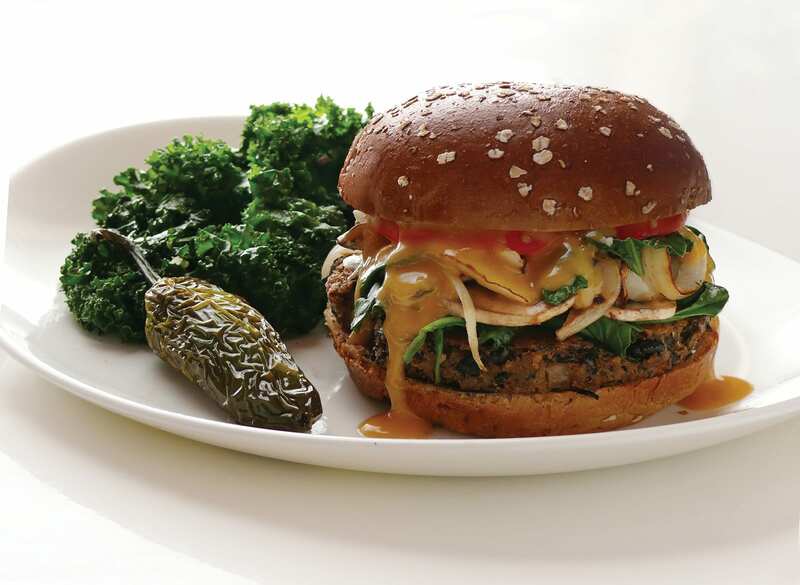 The menu features American diner classics with a vegetarian/vegan twist: burgers, steak and eggs, chicken sandwiches, fish tacos – all flavor, just no meat. 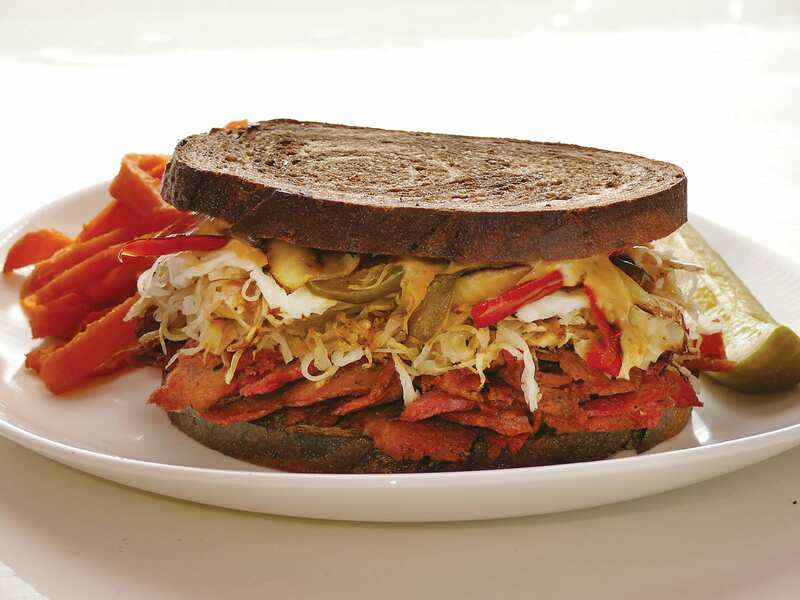 The Radical Reuben is a show-stopper and fan favorite, featuring the house recipe thin sliced seitan, a plant based protein made from wheat. The vegan milkshakes are highly regarded especially the peanut butter cookie dough. There’s a full brunch selection, as well as cocktails, beer and wine. Top it off with an impressive selection of vegan desserts that are featured in Whole Foods Markets across the Midwest. 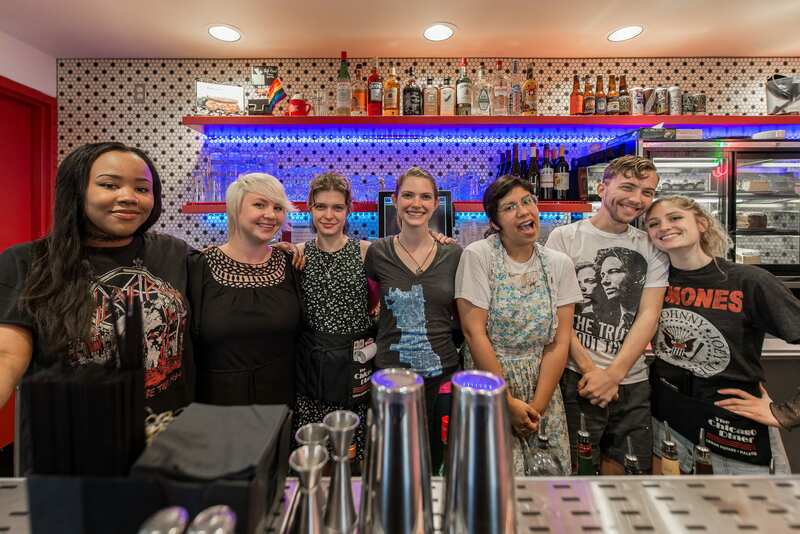 Now with a second location in Logan Square, the original Boystown site offers amenities of free evening and weeking parking, a covered patio and old school diner ambiance with plenty of chrome accented furniture and charm. 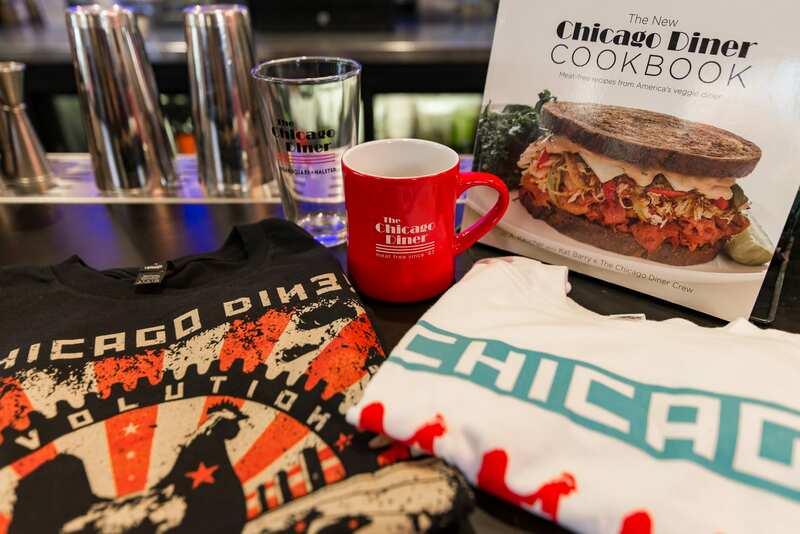 Celebrating it’s 35th anniversary, it’s no surprise the Chicago Diner has made it’s way into the hearts of thousands of vegetarians and omnivores. It’s a haven for the health conscious, animal kinship, gluten-free dining, and dairy-free delights. Where has this place been all my life? Mainly vegan restaurant with Vegetarian meals and options too (for those who want real cheese). The place has a casual dinner vibe and it was packed. They have a place in the back where you can wait inside a heated canopy for your table.It took quite a bit for our server to get there, but it made sense because it was packed. Restaurant style seating and amazing food. Was not wheelchair accessible from appearance because you have to Step up into the restaurant. I'm not a vegan, so coming here was an interesting choice for me. The first time I came, I had the imitation sausage and it just wasn't my cup of tea. My sister in law is a vegan, so we decided to make one more trip here and this time I got the spicy imitation chicken sandwich and it was delish! It was something I can see my self eating all the time. Being brown, spices are very important to me and they got it just right with the chicken. My vegan sister in law and her bf absolutely loved it. The drinks here are very good as well. I'd recommend trying both the alcoholic and non alcoholic stuff. It's nice that there are places with full vegan options like this and for that alone I'll support them. Came here on a spring break trip with my friends. This experience was life changing. The food was incredible! I highly recommend everything. Please don't miss this place on your next vegan adventure! The vegan shakes were great! If you have a dairy allergy, I would highly recommend this location. I would also highly recommend the Chicago Diner for vegans. There was a wide variety of options. I would not recommend this resteraunt for people who are comfortable eating meat. Most of the meat substitutes do not taste very good, and are certainly not the most accurate substitutes. The wait can be especially long, so watch out! Gotta come here! Great comfort vegan food. I had the vegan Reuben and absolutely loved it. Hadn't had that flavor in ages. (So much better the vegan way) if you have friends that you want to introduce to this lifestyle then this is a great place to start them off. My daughter told us about this restaurant so we gave it a shot. This is the original location. Place is medium in size. Please make sure you have the hostess your name. Usually a 35 min wait. We were finally seated and that's when the fun begin. Our waiter Mike was excellent. Now I am vegan and I haven't had a Cuban sandwich in almost 15 years and this Cuban sandwich was AMAZING! Even the appetizers were amazing. I will most definitely come back. I've been coming here for years and it never disappoints. I'm not a vegetarian, but I've never had a meal here that wasn't great. Take my advice, and save room for a COOKIE DOUGH PEANUT BUTTER MILKSHAKE. It is simply delightful. Track me down and tell me I'm wrong... You won't have to. What a spectacular place for vegans and vegetarians! I loved their twists on all the classics, such as poutine and gyros. The mint chip milkshake was so good! No artificial dyes just flavorful and creamy! It is really cramped in here, but they do their best. This place is worth the wait. If you're into lacto vegan or vegetarian fare, the traditional diner is usually not a very good option. This is a breakthrough place for those that limit animal products in their diet. 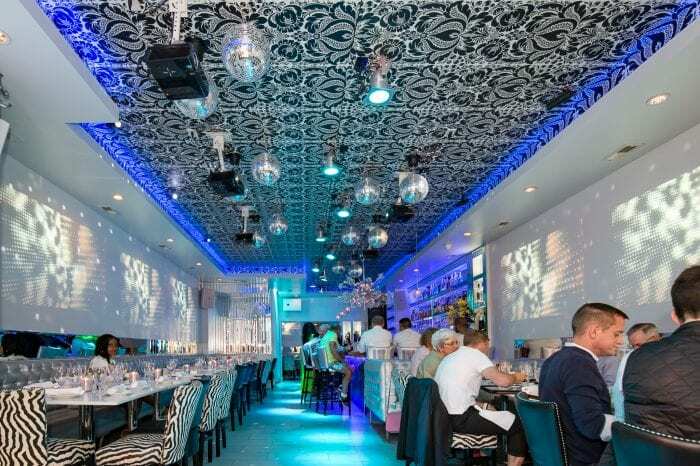 The food is simply amazing and the place attracts an eclectic and progressive minded crowd. Definitely a spot that will satisfy anyone, but a gem and a relief for those with a restricted animal averse diet. The menu has amazing options and a ton of selections. Everything is just so tasty. The experience was really nice. Went with our 2 month old daughter and the staff was really accommodating. The food was tasty. The sandwiches seemed to be the better options. Loved our handmade shakes , but it is rather pricey. I would go back. This place is a must stop for any vegans visiting Chicago. Friendly staff great food, amazing shakes. I highly recommend the cinnamon roll. Also if you're a fan of Reubens you must try theirs.This place has been around since 1983 so you know it must be good. Most of their food is exceptional. I love the portobello melt and Reuben the best. I also have both their cookbooks which are exceptional. The milkshakes are to DIE for and VEGAN!The brunch menu is A+ but their specials can be hot or miss. I had a pasta with "scallops" that was very flavorless. My recommendation is to go for the vegetable forward foods. Amazing food and atmosphere. This is a vegans dream to have an entire menu to themselves. The value, the options and the food were all AMAZING. Food was hearty and good truly enjoyed the sausage. As a vegan getting a chicken sandwich is rare but no here. Cant forget the shakes, we were so full we were each unable to get one each but we shared and it was worth every single calorie. The shake was super creamy and peanut buttery. Wish I was in town longer to go back for my own shake. Make time to visit this gem it is very close to Wrigley Field. Really good! Four of us dined and we all enjoyed our meal. We enter bought their cook book. Wait time for our food was fast. A little pricey, but that's to be expected since it's both vegan and close to downtown. I always love visiting the Chicago Diner. The staff are amazing, friendly, and helpful. The food is phenomenal and I always try to stop in whenever I roll through town. Everything is tasty, but the milkshakes are a special kind of wonderful; they always make my wee vegan heart sing. If you are vegan or thinking of becoming one, this place really does a great job making vegan food taste awesome. I'm not a vegan any more (took a vacation and never came back), but this place was my start on becoming a vegan (did it for 7 months and loved it). The food on the menu is well prepared and delicious. Portions are generous and the service is great. The deserts and snickerdoodle cookies are yummy. I would definitely go there when I have time in Chicago. Also, they use to have their own cook book, which has most of the items on the menu and some. Get it if you like to cook. I still use many of the recipes to create great vegetable dishes! The food was great and very realistic. My family are vegetarians so they were very happy to see that they could eat everything on the menu. My daughter especially loved the BBQ chicken wings and the Country Fried Steak. My son really liked the milkshake as well. My boyfriend and I plus his family recently visited for the first time this past weekend. The wait was decent (approximate 20 minutes as it was a weekend). Once we were seated, our appetizers and food came quickly and was absolutely amazing! The radical Rueben with waffle fries was delicious, as was the spinach artichoke dip and blue sky cola. I was too full to indulge in a vegan milkshake but got to taste from others who had ordered at my table and those were also very delicious! Overall, service was quick, the staff was friendly, the food was amazing and good in portions. I will definitely be returning! I've been vegan for over 3 years now and I love going out to eat with friends (especially brunch) but sometimes it can be difficult. I end up eating fries and a salad, so it was really exciting for me and my friend (who is a vegetarian) to be able to have a plethora of choices. We all loved what we ordered! The milkshake was delicious and we all devoured the 'chicken' wing appetizer. It was pretty packed but our server was attentive nonetheless. We went on a weekday night around 5 and there was no wait! If vegan food it's what you are looking for, definitely try Chicago Diner. The wings are great although I would classify them more as vegan ribs. All the different entrees were good. Tried the chicken fried steak. other than it being a little peppery, it was awesome. The vegan cookie dough shake was so real I had to ask to make sure it was vegan. Went here twice on my trip it was so good. This location is in a cool party of Chicago. The workers are more unique and self expressive as it goes along with the neighborhood. They are very nice. The food comes out quick. Food is good. Only downside is the diner is a little bit cramped. I’ve recently become vegetarian & I’ve been bored recently with my food selection. My friend introduced me to this meatless diner & I had a really good experience. I did go on a Saturday so there was about a 40 minute wait but it was definitely worth it. I got the specialty wings & they almost tasted like chicken wings! They also have a tasty selection of shakes! Love. Love. Love. The best Vegan comfort food that I have ever had. So so great! I can't talk about it enough. It was somewhat pricey, but so worth it when you get the quality and portions that they serve. I want to go back! Nobody makes a Vegan Reuben like they do!We went to the one in Boys town, so if you are religious or shy about that there's another location. I absolutely loved it! This place is amazing! I’m not vegan myself, but I am lactose intolerant. It was great to have a shake again, and all the food was delicious! If all vegan food were like that, I would definitely go vegan. Our waiter, Matt, was great, and he helped us find places to explore in the area. 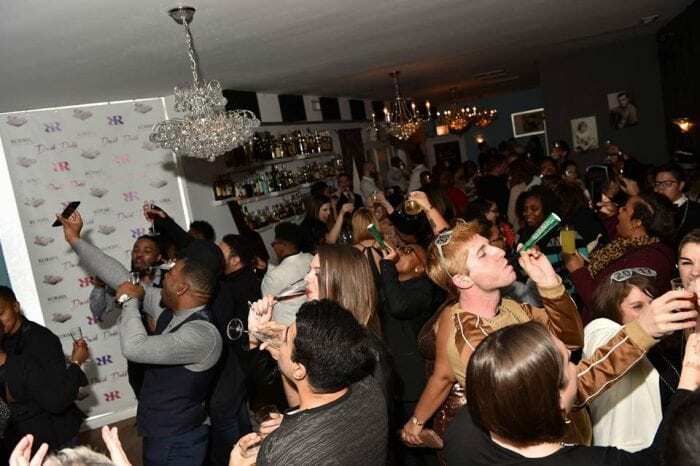 Great vibes and a great place, this is a “must go place”, hands down. I've been going here since I was a child. Always loved it. Lots of creative vegan foods here. All of the burgers, sandwiches, etc. are delicious but I always come back for the chili. I love the chili here. The staff is very friendly and accommodating. Wow, all the vegan options. Glad my bro lives in Chicago so I can try this place again sometime and see what new veggie concoctions they come up with. Breakfast was great and I'm sure any meal would be here. Generous portion that I was able to make another meal out of later that day. Definitely check this place out if you want a go to vegan joint. Their shakes are thick to and don't come off as vegan either. This is my favorite place in Chicago. My whole family comes here with me. The whole menu is fantastic and even if we don't have time to eat we will stop and get milkshakes to go which they're famous for. Within walking distance from Wrigley Field. It's a small place but very cute and great staff. Awesome food for vegans. Great variety of options. The ambience was great, like a true diner. I specially enjoyed my Buddha's Karma Burger. I had a couple Jain friends accompany me, and they customizations available per their dietary needs. 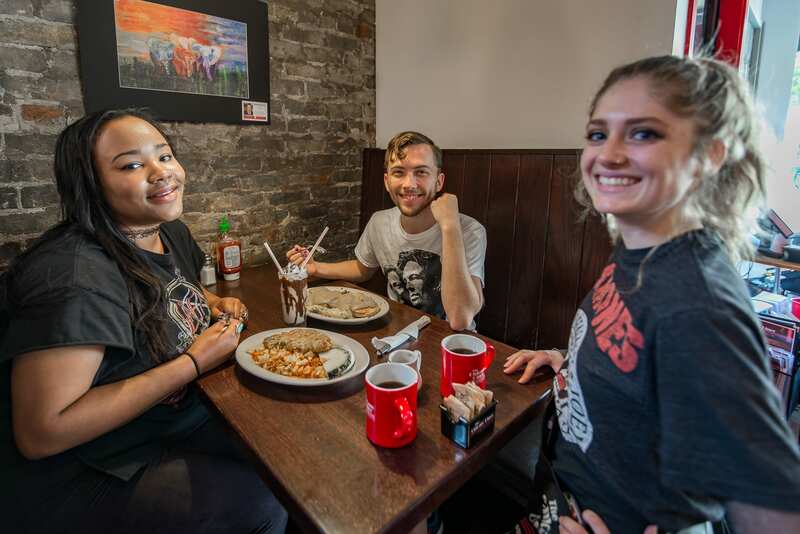 Cozy atmosphere, friendly service and an absolutely delicious vegan menu. Because it's rather small, you may have to wait but it's worth it. Whether you're a vegan or not, you'll love it! Love this place!! Great vegan food with a separate GF menu. Server was super helpful with making a few suggestions due to food allergies and everything was amazing. It's been a long time since I've had a milkshake and it was delicious. Would definitely go again. Cozy spot in a cool area, close to the train. As a non-vegan, I have to say this is the best no-meat restaurant my friends have dragged me to. The food was pretty delicious and priced pretty well. Their cucumber lavender lemonade is a must buy! They were rather busy but we didn't wait too long. 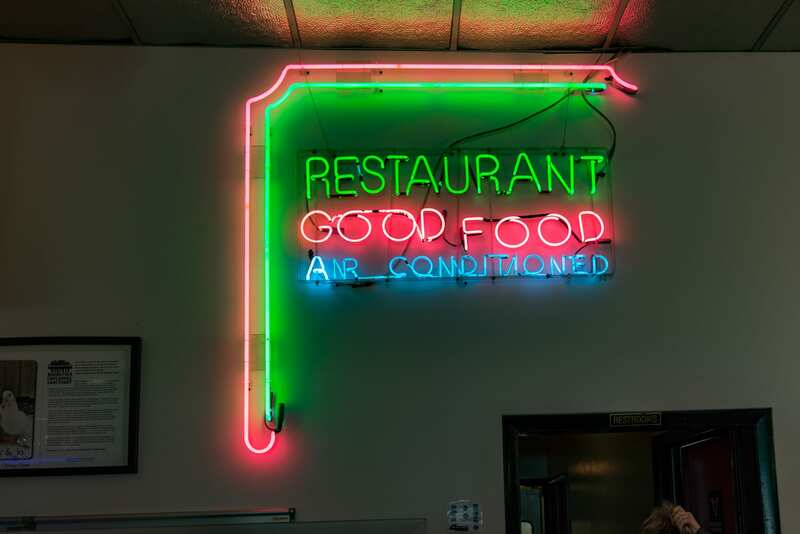 Warm atmosphere, good food, and friendly staff. 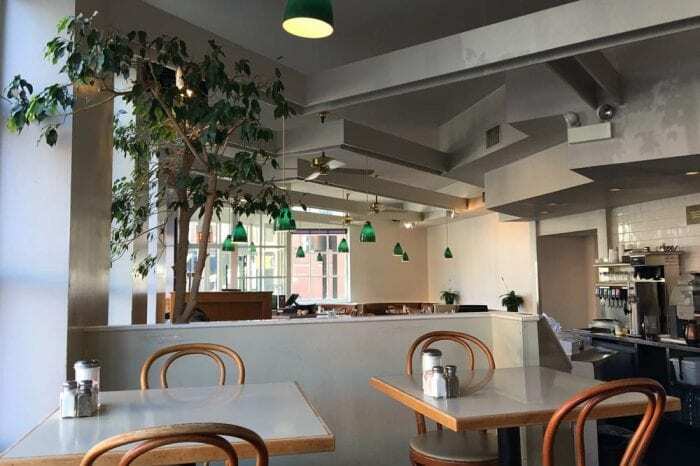 My family prefers this location because of the diner feel, but if you're thinking of taking a date, coming for the drinks, or in a really large group I'd recommend the Logan's Square location. It might be a longer wait but that location has a bar, large booths for families and a more romantic ambience. The Diner experience without meat! Vegan options perfected over many years. Small place with great atmosphere. Cool area of town too. Expect a short wait but make up for it with a (non-)milkshake! This place is the best vegetarian restaurant that I have ever been to. There are always a bunch of people there which also means that it is fresh and delicious. 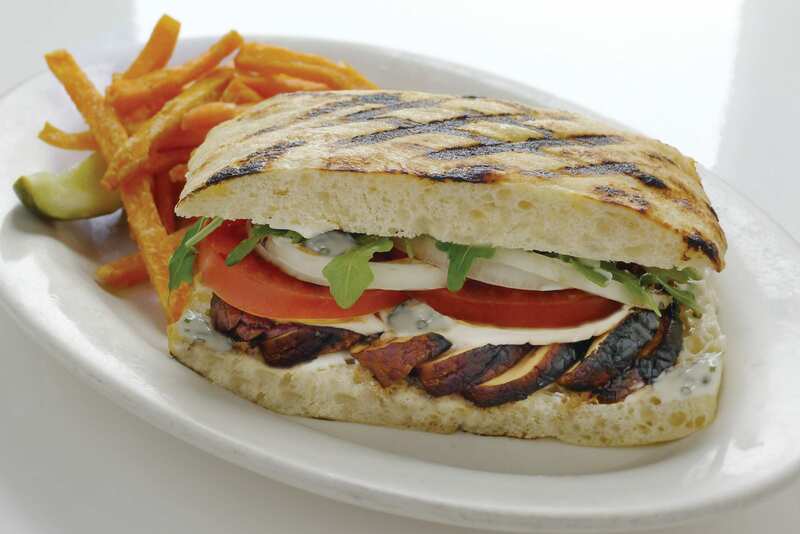 They have a great selection of vegetarian foods and their prices are reasonable. I give this place a two thumbs up. Awesome vegan joint in Boystown. Love the space on the the inside. Service was excellent and food was prepared quickly. Visited for breakfast and lunch and both were fantastic. Their milkshakes are really good too, even in the middle of December. I didn't have any room to fit it in after my meal but found a way to put it down. Next time I am in Chicago I'll certainly be back here. Love Chicago Dinner! I've taken countless non-vegan friends here and they love it as well. They have a solid menu that never disappoints. The staff are always attentive and extremely accommodating. Even before I moved to Chicago whenever I visited I always made it a point to stop in one of their locstions. Chicago Dinner never disappoints! Amazing, quaint, great service. Food was top notch, they serve beer wine and liquor. You can't go wrong with this spot will definitely be going back! My favorite spot for vegan dining in Chicago. The location in Boystown is fantastic. 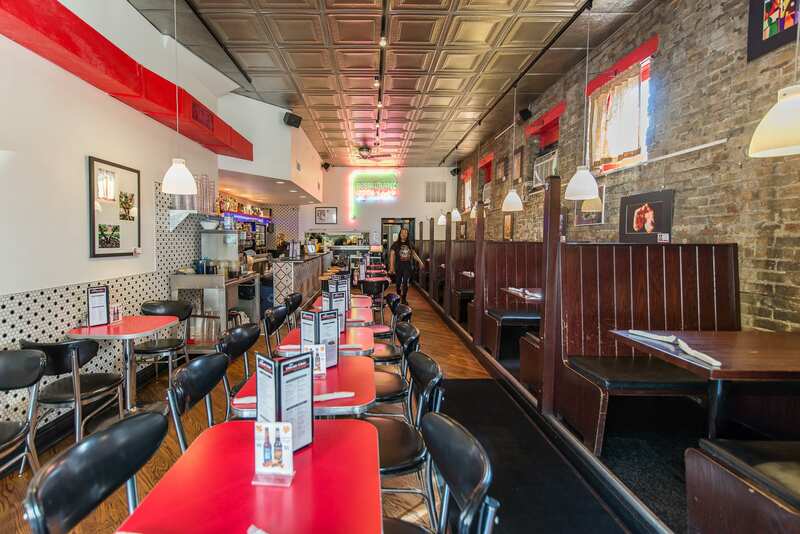 I love the old school American diner vibes, but with a modern twist. The staff here is great, always very kind and welcoming, and even when they're busy the service is quick. 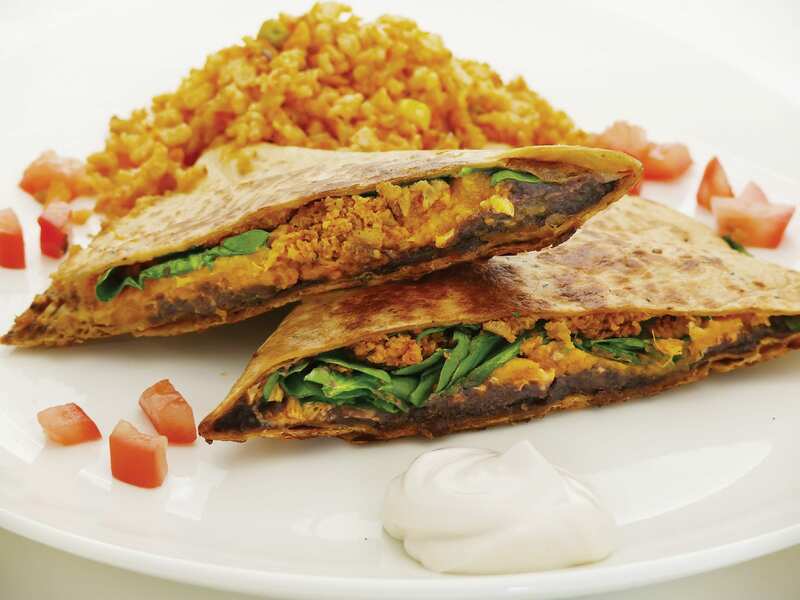 There are so many great things on the menu, and of course it's all meat free. I highly recommend trying their milk shakes and waffles fries. This is in my opinion the best place in Chicago for vegan comfort food. I WAS PLEASED WITH THE FOOD AND THE SERVICE. I HAD THE GYRO AND IT WAS UNBELIEVABLY CLOSE TO THE REAL THING. I CAN'T WAIT TO GO BACK AND TRY SOMETHING NEW. Small diner worth the wait. Good menu, excellent shakes. Don't miss out on this one. I met my vegetarian friend here for lunch. The space is small but clean and bright. I tried the chicken wings and they were pretty good. I had a chai latte and it was really good (very sweet) and the avocado crunch salad. They have an extensive drink menu but unfortunately I had to go back to work. The staff was super nice and efficient. Even if you aren't a vegetarian they have really good food. So awesome to have good old diner food!! Really such a treat for a vegan, and indistinguishable for regular omnivorous folk. The poutine is ridiculous and the ranch dressing is the best. Cant go wrong with the Reuben, and I hope to come back and try the country fried steak! I like this location better than in Logan Square. The server's are more friendly and welcoming. The service is fast and the food tastes amazing! Pleasant atmosphere and great food. Had their tumeric ginger soda which was awesome as well. Definitely recommend checking them out. Creative food and drink menu! Love that it’s a vegan restaurant (yet can still get dairy cheese if desired). Portion sizes are big, even off the kid’s menu. Thought the vegan ranch dressing was amazing! Dip your fries in it! Friendly service. Clean. It's such a wonderful experience to open a menu knowing you can eat anything in it. My non Vegan friends always are amazed at how delicious the food is. I'm not. It's the best. 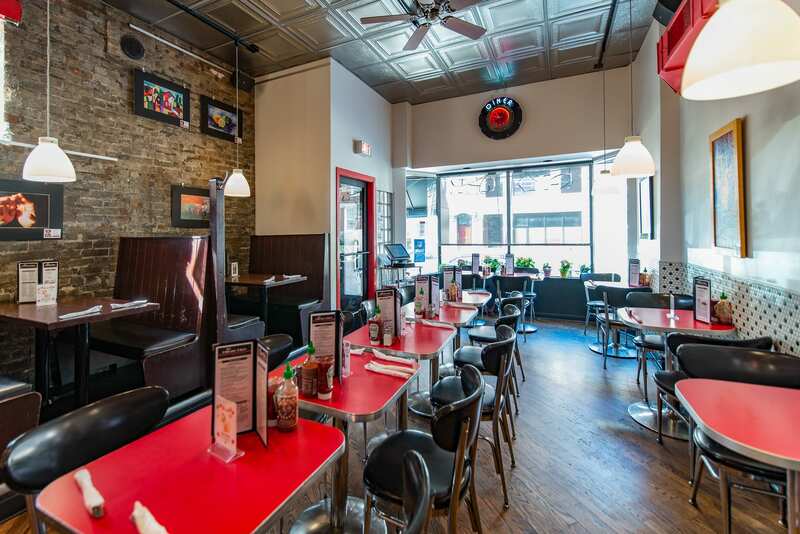 tucked into a cozy corner of boystown you will find this delightful and beautiful diner. The walk is amazing and seeing all the rainbow flags and proud people made us so happy.then the food... my goodness. vegan heaven. staff is amazing! We enjoyed our experience at Chicago Diner, though waiting around back in a cold pavilion for a table was not ideal! They have a great selection of food, but I felt the menu was all over the place, including American, Asian, South American, etc dishes. Food was decent quality, and we loved the sweet potato tofu burger as a substitute for a normal burger. Very cool and young atmosphere. Love this place. Food is excellent. You really can't go wing with any of their options. Staff are friendly and personable. The carrot cake shake is a must have.